Dan Quinn co-founded Ten Bridge Communications with more than 20 years of experience in building leading corporate brands in healthcare. Previously, as managing director of Feinstein Kean Healthcare, Dan led brand strategy and corporate communications activities for biotech and pharma clients, helping to create, launch and promote companies of all sizes, from emerging biotechnology to the world's largest pharmaceutical and consumer products organizations. Previously, Dan spent nearly seven years at Genzyme Corporation where he worked to protect and enhance the company's global reputation through financial, product, employee, and crisis communications. He helped to steer communications strategy through the approval and launch of four new orphan therapies, more than a dozen acquisitions, and multiple crises and regulatory milestones. Prior to Genzyme, Dan led communications for the National Academy of Sciences' Institute of Medicine, engaging with media, Congress, government agencies and advocacy interests to launch dozens of high-profile health policy reports each year. He has also worked to promote the work of the medical and nutrition faculty at Tufts University, and began his career as a journalist in Massachusetts. Ann Stanesa co-founded Ten Bridge Communications after nearly 20 years in leadership positions focused on communications and marketing in biotech and pharma. 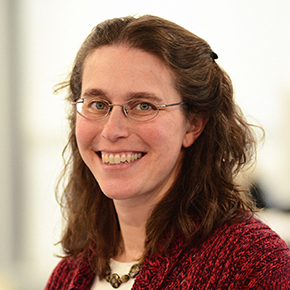 Most recently, Ann led the rapid growth of Feinstein Kean Healthcare's biotech practice, focusing on brand development and ecosystem engagement strategies for dozens of successful emerging biotechnology companies. Previously Ann spent 10 years at Genzyme Corporation, serving as director of public affairs responsible for Genzyme's visibility, relationships, and reputation throughout the community. She directed the thought leadership strategy for senior executives, and created and managed high-profile crisis management strategies and other corporate programs. Ann's experience at Genzyme also included managing the global medical education program for the renal business unit, directing the key opinion leader program, and overseeing relationships with key external patient associations. Prior to joining Genzyme, Ann worked at Searle Pharmaceuticals on direct-to-consumer marketing and non-branded programs for patients with arthritis, and at Pricewaterhouse Coopers in the marketing department for the U.S. healthcare practice and Boston office. Ann started her career in the Massachusetts legislature as an aide to a senator. 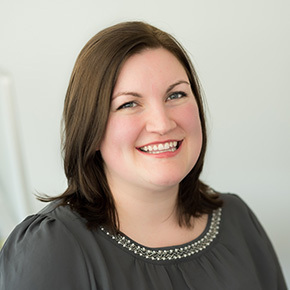 Krystle Gibbs brings to Ten Bridge more than a decade of experience developing and executing communications strategies for leading biotechnology and pharmaceutical companies. Prior to Ten Bridge, Krystle worked for a leading global communications agency focused on healthcare where she shaped and led communications programs for dozens of early-stage to commercial companies, spanning corporate branding and positioning initiatives to critical data and regulatory milestones and events. Most recently, she spearheaded U.S. regulatory communications and issues management and led the broader global business for a large pharmaceutical client, working with cross-functional internal and external stakeholders to support the accelerated approval and launch of a new vaccine for adolescents and young adults in a highly competitive environment. Previously, Krystle worked with the media relations team at the American Red Cross to support donor recruitment and raise awareness around the importance of blood donation, particularly amongst young adults. She began her career in a communications role at the Wisconsin Office of the Commissioner of Insurance. Stephanie comes to Ten Bridge after a career in journalism that took her from Kremlin press briefings in Moscow to the O.J. Simpson trial in Los Angeles to riots, rallies, tornadoes, and pheasant hunts across the Midwest. Most recently, she served as managing editor of STAT, a national publication reporting on health and medicine. Stephanie helped launch STAT in the spring of 2015 and ran the biotech and pharma teams, guiding reporters in coverage of the science, business, and politics of drug development. Before joining STAT, Stephanie spent years as a national reporter for the Los Angeles Times, the Wall Street Journal, Reuters, and Politico, writing on everything from agriculture to education. It was her work at STAT that sparked her deep interest in the world of biotechnology; she's now eager to use her journalistic skills to help Ten Bridge clients tell their stories to the world. She earned her bachelor’s degree in English from Yale University. Dean brings deep creative and strategic marketing experience to Ten Bridge clients, having worked in both corporate and agency environments with creative leadership positions in a wide array of healthcare-focused industries. He leads creative at Ten Bridge, developing brand, web, interactive, print, and communications solutions for clients across the firm. Prior to joining Ten Bridge, Dean served as creative director and SVP at a healthcare-focused agency where he worked with large pharmaceutical firms, emerging biotech companies, medical device and diagnostics manufacturers, and a number of government agencies and non-profit/advocacy organizations to develop branding and communications solutions. Previously, Dean spent five years at McKesson Health Solutions where he led creative initiatives for corporate marketing, web, brand, event, UI/product design, and internal communications. Dean has been recognized with several design and healthcare industry awards for his innovative approaches to creative challenges. Sara Green joins Ten Bridge from Pfizer’s Centers for Therapeutic Innovation (CTI), where she spent five years leading communications for the start-up research unit. She helped build CTI from the ground up, creating the branding and messaging for this high-profile group within Pfizer, as well as launching its website. In addition, Sara’s remit included growing a collaborative, patient-focused culture, drawing on relationships she forged with disease foundations. Prior to CTI, Sara led U.S. communications for the Global Fund to Fight AIDS, Tuberculosis and Malaria—the world’s largest global health funder. Sara has also held communications roles at WGBH-Boston and BroadReach Healthcare. She holds a master’s degree from the Harvard School of Public Health and a bachelor’s degree from Duke University. Emiko brings over 15 years of experience in operations management at both startups and large public companies to Ten Bridge. Her passions include building and preserving a company’s unique culture, recruiting the best talent, and finding the most delicious office snacks. In the past, Emiko has held leadership positions in both finance and human resources, and led a software startup’s HR, finance, IT and legal departments through a successful post-merger integration. She holds her bachelor’s degree in English literature from Portland State University. 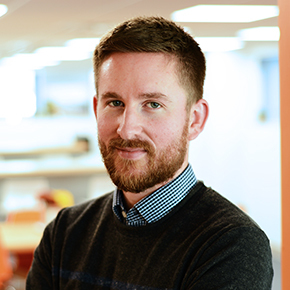 Tom Donovan brings to Ten Bridge experience from multiple assignments in London, Australia and New Zealand. His most recent role was as director of communications for Nexvet Biopharma, a NASDAQ-listed biotechnology company that was acquired by Zoetis in 2017. Leading to acquisition, Tom worked with the company's executive team across all aspects of corporate and investor communications, from its early funding rounds, re-incorporation in Ireland, global operational expansion and IPO. Prior to this, Tom worked in a variety of communications consultant or policy roles to private biotech companies and government innovation teams in Australia, including development of the Global Health Melbourne Plan. Prior to this, Tom worked in investor and public relations consultancy roles with ASX-listed biotechnology companies, and as a junior business journalist in New Zealand. Tom has a bachelor's degree in biomedical science and a master's degree (1st class honors) in bioscience enterprise, both from the University of Auckland. © Ten Bridge Communications. All rights reserved.